Canadian Prime Minister Justin Trudeau said today that he would take action against “the person responsible” for inviting Khalistani terrorist Jaswal Atwal to two of his official events in Mumbai and Delhi, which has caused a huge controversy in the middle of his India visit. Jaspal Atwal was convicted for trying to kill an Indian minister in Canada in 1986, and was sentenced to 20 years. “We take this very seriously. The individual in question should have never received an invitation. The person and department responsible will take full responsibility for his actions,” Mr Trudeau said. Canadian MP Randeep Surai has taken the blame and put out an apology. “I alone facilitated (Atwal)’s request to attend this important event. I should have exercised better judgment, and I take full responsibility for my actions,” he said. The Canadian Embassy has now withdrawn the invitation for Jaspal Atwal to a dinner in Delhi tonight. In a huge embarrassment for Canada, Atwal was photographed with Prime Minister Trudeau’s wife Sophie Trudeau and Canadian minister Amarjeet Sohi in the Mumbai event. 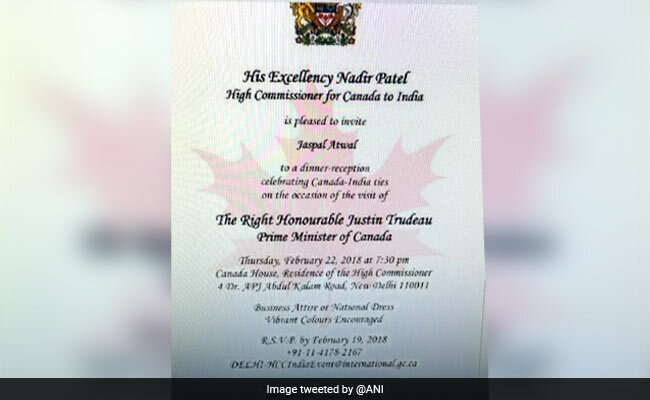 Amid spiraling controversy, Canadian High Commissioner Nadir Patel cancelled the Delhi dinner invite. The External Affairs Ministry said it is investigating how Atwal got an Indian visa and why he was cleared for the Trudeau events. “It was an oversight by the Canadians. We have to find out how Atwal got a visa,” said Foreign Ministry spokesperson Raveesh Kumar, confronting questions about a Khalistani terrorist being granted a visa. Atwal was a Sikh separatist active in the banned International Sikh Youth Federation when he was convicted of a botched attempt to assassinate Punjab minister Malkiat Singh Sidhu in Vancouver in 1986. A judge called it “an act of terrorism”. Atwal’s presence at official events in India is considered a huge blunder, given Mr Trudeau’s visit has been shadowed by speculation of a frosty reception. Canada is home to roughly half a million Sikhs and Trudeau’s administration has been accused of backing those campaigning for a separate Khalistan. Mr Trudeau particularly riled New Delhi last year when he attended a parade at which Sikh militants were feted as heroes. 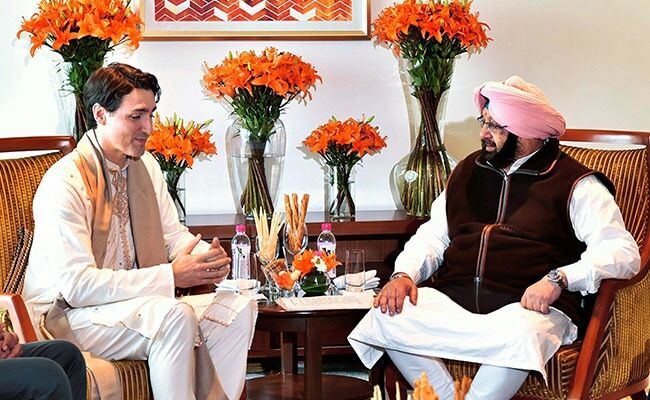 Punjab Chief Minister Amarinder Singh, who has often accused Mr Trudeau’s government and his ministers of backing Khalistanis, met the Canadian delegation in Amritsar yesterday. The Chief Minister said he had raised the “Khalistan issue” with Mr Trudeau and had been assured that Canada does not support any separatist movement in India or elsewhere. The 46-year-old prime minister will meet PM Modi tomorrow for the first time since he arrived last Saturday for a week-long visit along with his wife and three children. That PM Modi did not receive him in Delhi or even accompany him in his home state Gujarat, was seen by many, including the Canadian media, as a slight. Government sources, however, denied it.